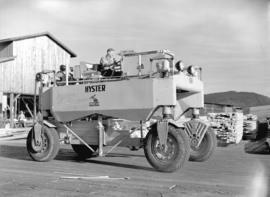 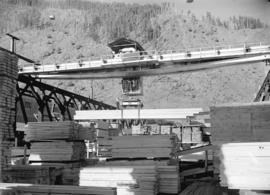 Industrial Milling at Youbou B.C. 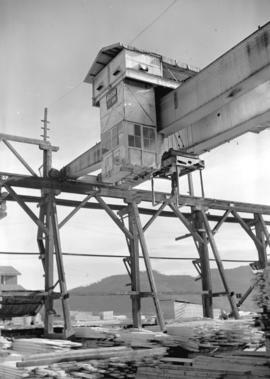 Industrial Milling at Youbou, B.C. 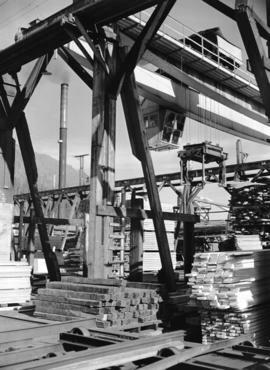 Lumber yard at Youbou, B.C. 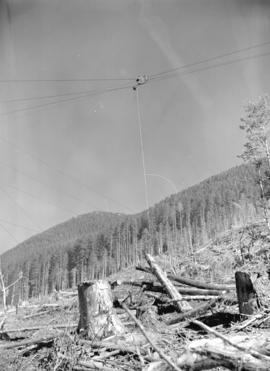 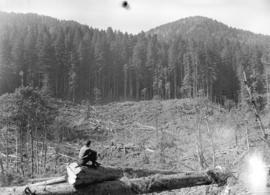 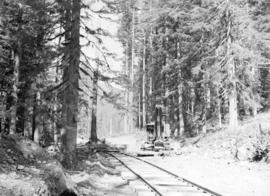 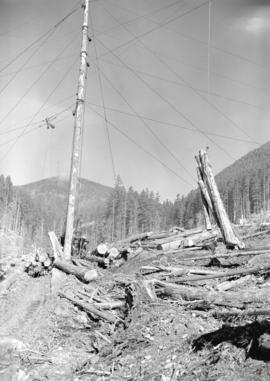 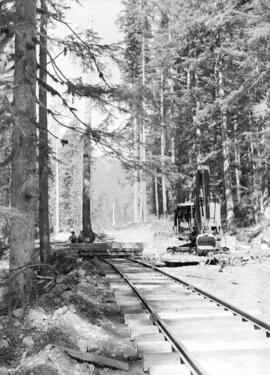 Photograph shows a clear cut and "high line" logging. 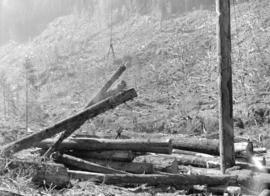 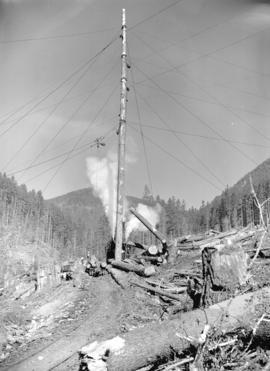 Photograph shows operation of a machine that lifts processed logs around the yard. 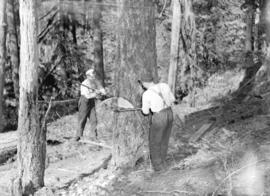 Photograph shows two men felling a tree with axes. 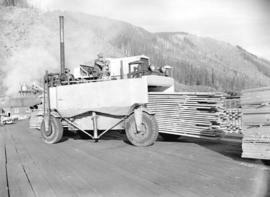 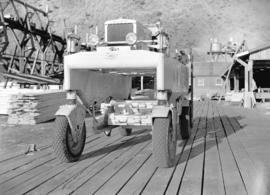 Photograph shows a machine moving logs. 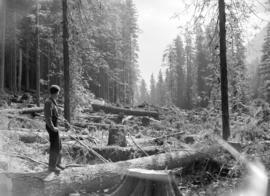 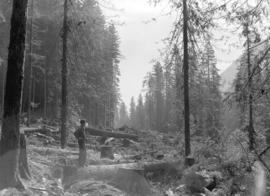 Photograph shows man surveying fallen trees. 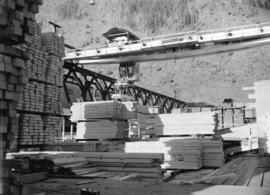 Photograph shows machine stacking logs on a railcar. 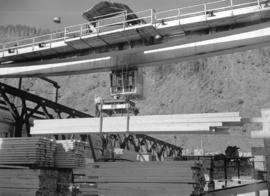 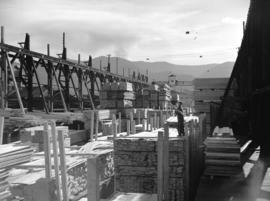 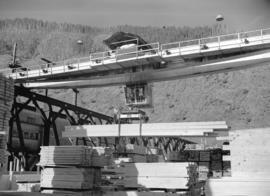 Photograph shows operation of a machine that moves processed lumber around yard.